The Apple Watch has sold more than any other smartwatch on the market, and has accomplished some incredible feats despite Apple's refusal to publicly release sales of the wearable. The Apple Watch 2 is tailored to athletes and swimmers, with Apple adding water and dust resistance while also bringing fitness features (and some Pokemon Go gaming) to the device. The Apple Watch 3 will get the usual incremental bumps in the basic components but Apple has something else up its sleeve. According to tech site BGR, Apple is preparing to bring glucose monitoring to the Apple Watch. The company has hired over 200 PhD graduates in the last year to see how the Apple Watch can produce something groundbreaking for customers and the market, and a glucose monitor seems to be the mysterious X factor for the upcoming Apple Watch 3. Previous rumors about wearables stated that Apple would make something that could be worn around the wrist or ankle (a "Gear Fit2 competitor" of sorts), but Apple's recent smart modular band filing could hint that the glucose monitor will be a modular band that will serve as an accessory to the Apple Watch instead of raising the cost of the smartwatch itself. Apple could also bring features such as a FaceTime camera (a 2016 patent filing says this could be the ultimate selfie camera) and an additional battery to the device. Finally, in a statement that should make Apple Watch wearers and fans happy, the source says that Apple claims it has "identified the right part of the body and there's so much more it can and intend[s] to do with the watch." 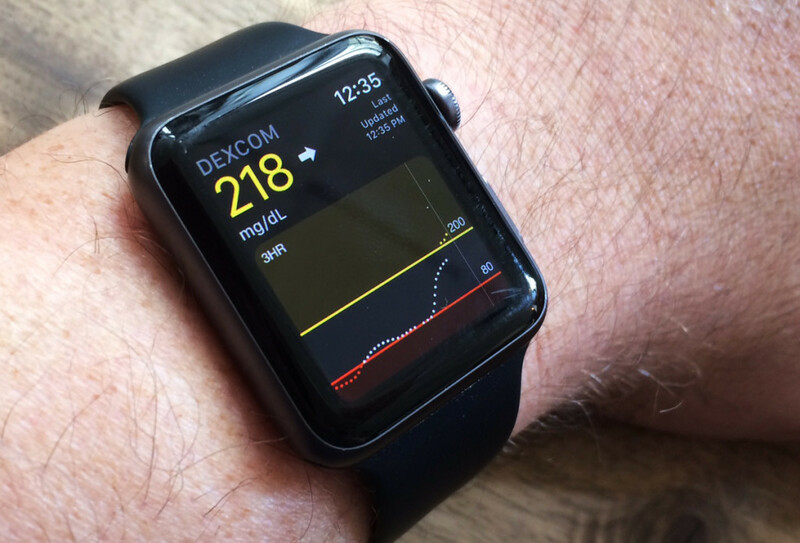 The glucose monitor for the Apple Watch would allow people to see their sugar level by simply staring at the screen instead of going through the usual pricking motions some 30 million Americans endure every day. The Apple Watch 3, apart from the glucose monitoring smart band, could include a micro-LED panel to conserve battery life, heart rate ID authentication to identify whether or not the wearer is verified and authentic, cellular connectivity for standalone LTE to reduce Bluetooth reliance, sleep tracking due to its recent acquisition of sleep hardware and software company Beddit, and launch in Q3 2017 if the upcoming moniker number (Apple Watch 3) signals anything.